In Books Tagged In Hockey, John Glassco Prize, Quebec, Sylvain Hotte, and YA Novel. Alexandre McKenzie lives on North Shore of the St. Lawrence River. In summer he rides the logging trails on his quad. Come winter he is a promising young hockey star who seeks solitude at a bush camp by the frozen lake. But when he plunges into a relationship with a girl plagued by tragedy, things turn ugly. Fighting his own demons Alex fights to hold his head high, like the bull moose that haunts him from the moment he meets Jessie. 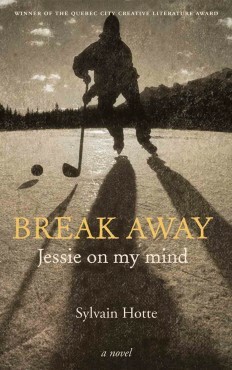 Break Away, Jessie on my mind tells of friendship, family, pride and love. It’s a story that could happen wherever winter, hockey, and young people come together. 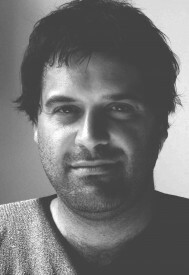 Sylvain Hotte is an award-winning writer of fiction for young adults and children. He was born in Montreal to an Innu mother and a Québécois father and now lives in Quebec City. His first series Darhan was astoundingly successful. Break Away, Jessie on my mind is the first book of a trilogy. Casey Roberts is a translator and editor based in Montreal. Pierre Bouchard is an illustrator who works on children’s and young adult’s books and graphic novels. “The story of Alexandre McKenzie is both simple and fascinating… you are immersed in a remote world, little known to urban dwellers, that is dominated by skidoos, moose hunting, trapping, logging, unemployment and related problems of alcohol and drugs… Alex is courageous but above all loyal to his own instinct.” Radio-Canada/CBC, Youth books.